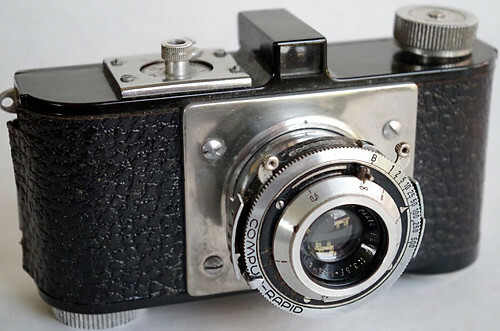 There is also a series of 6×9 cm folding roll-film cameras called Norca, made by Braun. 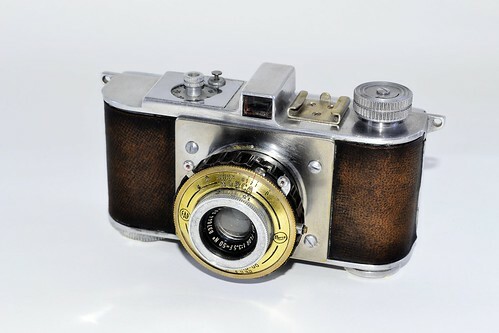 The Norca is a series of cameras made by the French society FAP between 1938 and the beginning of the 1950s. They were inspired by the Argus A. The Norca A was offered in 1939 by Manufrance, a French distributor, with a Berthiot Flor 50/3.5 and a T-B-25-175 shutter. Vial also mentions Compur shutter, one is pictured here. The Norca B was offered in 1948 by Manufrance, a French distributor, with a 50/3.5 lens and a T-B-25-300 shutter. The Norca III A was announced with a focal plane shutter and interchangeable lenses (see an ad here). According to Vial, it was presented at the 1948 salon in Paris, but it never came into production. The Norca Pin-Up was a very different camera, treated in its own page. This page was last edited on 21 December 2017, at 06:36.